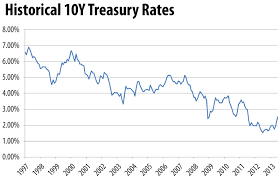 Here is an excerpt report on the 10 Year Treasury and Currency Markets. The currency and bond markets were quiet for the first time in nearly a week Tuesday, as the dollar was little changed despite strong economic data. The Dollar Index rose 0.10%. The dollar spent virtually the entire day up fractionally, due mostly to a bounce after Tuesday’s declines. The stronger-than-expected flash manufacturing PMI didn’t elicit much of a reaction, and yesterday was a day of digestion in the currency markets. To that point, the euro and pound were also flat despite notable news in each region. First, the EMU composite PMI was slightly light at 54.3 vs. (E) 54.5 while the German number was more of a negative surprise at 54.7 vs. 55.4. Most of the weakness in both numbers came from the service PMI, not the more important manufacturing PMI, so as such neither number really moved markets, and didn’t shift the outlook for the EU economy. In Britain, the Supreme Court ruled that Parliament must vote on the election of Article 50 (the process by which Brexit is made official). While that seems like a complication, it really isn’t, as Parliament won’t derail Brexit. The currency markets reflected as much as the pound was flat on the day. There was some movement in the currency markets, as the loonie rose 0.6% vs. the dollar thanks mainly to positive comments from Trump administration officials saying that Canada wouldn’t be targeted in trade negotiations, and that the US/Canada trade relationship would potentially serve as a model for other agreements. Finally, the yen fell 0.8% vs. the dollar as investors sold the after the recent bounce that followed the strong flash PMI, and ahead of the Japanese trade balance that came out overnight. Selling the yen remains the hedge fund world’s favorite way to express a strong dollar position, and as such we’ll continue to see the yen swing wildly, and within a general downtrend. Turning to bonds, Treasuries for the past week have been trading much more off actual economic data than political speak, and as such Treasuries declined following the strong flash PMI. Those declines continued following an unenthusiastic 2-year Treasury note auction. The 30 year declined 0.95% and the 10 year fell 0.45%. We watch 2-year auctions and the 2-year Treasury yield, because they are a proxy for Fed rate hike expectations, and yesterday’s results imply what empirically feels right to us—the Fed is closer to a rate hike the market thinks. Bidding for this auction was somewhat soft, as the actual yield of 1.21 was up slightly from the “When Issued” yield, while the bid to cover (a measure of demand) was basically in line with recent averages at 2.68 vs. 2.66. But what saved this auction was foreign demand. Indirect bidders, a proxy for foreign buying of the auction, rose to 48%, well above the six-month average of 33%. The takeaway here is that without foreign buyers this would have been a weak auction, which again anecdotally implies bond buyers are wary of Fed rate hikes. We continue to think the market’s expectation of just two rate hikes this year, absent an economic slowdown, is too few… and that’s a general risk to stocks. This entry was posted in 10 Year Treasury, Bonds, Market Commentary and tagged 10 Year Treasury. Bookmark the permalink.